What can actually be read from the eyes? More than wishes! Read body language and learn more. The eyes have a big part in the human facial expressions. Apart from the people with dark or mirrored sunglasses, visual signals are quite easy to recognize and interpret. There is a reason why the eyes are called the mirror of the soul. They reveal much about our feelings and thoughts, whether we like it or not. 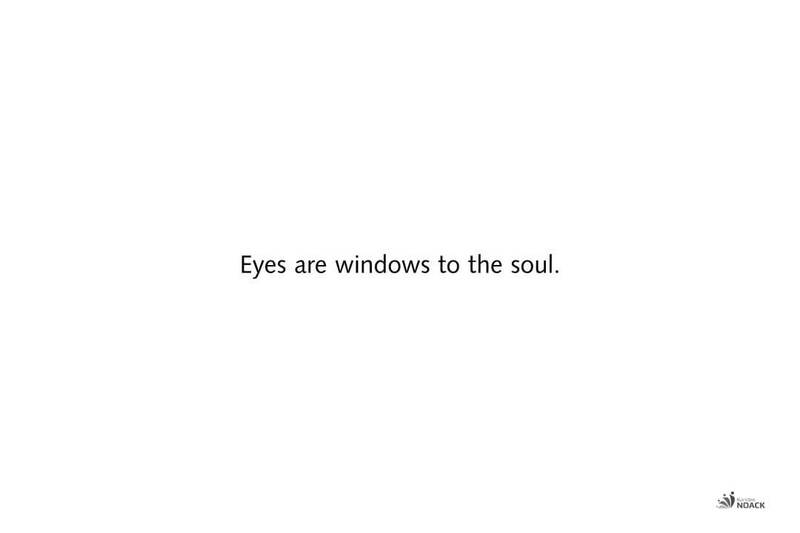 Eyes can smile, radiate joy, permeate, agree, question, doubt or reject. A cursing gaze can even hurt other people without supernatural powers. Why is it worth paying attention to eye contact? You only see well with the heart, the essential is invisible to the eyes. A gaze can hit and even hurt other people. There is the withering look and some even wish that looks could kill. Sometimes the eyes say something other than the conscious mind controlled words that leave the mouth. That’s another reason why it’s worth watching. For the following body signals I have added a selection of possible interpretations. Important in the analysis of body language: always calibrate well and evaluate the clues in clusters. Only then can well-founded working theses be developed. You can use the elements yourself in your body language. Insofar as the signals are consciously controllable, you can decide for yourself whether they support your intended message or not. Possible interpretations: Someone is looking for alternative and escape possibilities. If a situation is perceived as unpleasant or even dangerous, eye contact is often avoided. This is also because of self-confidence. In the assessment, the previous calibration helps. Possible interpretation: Someone got scared. If the eyes are closed for longer than is the usual lid reflex, this may be due to too bright a light or a more violent shock. In the latter case, sufferers often want to close their eyes to reality. Outside of a conversation someone in the environment lowers the view or does not respond at all to the attempt to make eye contact, then there is no interest on his part (at least for the moment). If someone lowers their eyes during a conversation, it can be an indication that they are feeling uncomfortable. Eye contact is omitted, in order to give no evidence of lies. But as often mentioned; these are clues, not clear proofs. An oblique gaze often signals appraising restraint and is often deliberately used. If the gaze goes steadily or frequently to the ground, moves restlessly back and forth, seems to be looking for something, the eyes are pulled together, the eyebrows are raised or are demonstratively turned in a different direction – then they are indications for insecurity, ignorance or also for provocation. The degree of eye-opening allows conclusions about how alert someone is. 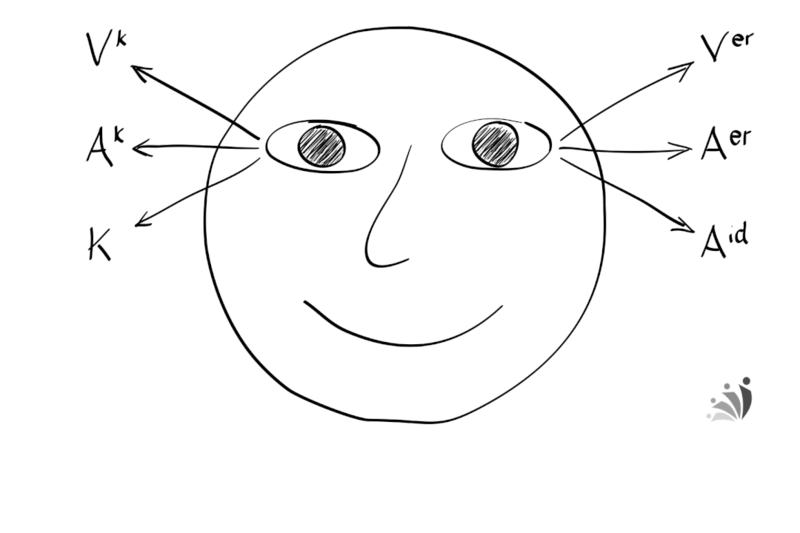 Open eyes indicate interest, contracted eyes indicate concentration. Concentration instantly stiffens the neck to focus on one point. Stare is very often an attack reaction. It is often perceived as aggressive and threatening due to this target fixation. It can also be a shock reaction in which someone is so frozen that the gaze freezes and can not be averted. There were times when women dribbled the juice of the nightshade into their eyes to dilate the pupils. The belladonna is therefore also called Artopa Belladonna (beautiful woman), because dilated pupils are considered more attractive and are actually registered unconsciously. Without such manipulation, one can guess how attracted someone feels about what he is looking at. If great pleasure is felt, then eyes and pupils enlarge. Some poker players wear sunglasses to hide their reactions to a good hand. Normal is a blink frequency of 10 to 20 times per minute. An uneasy wink prevents a longer eye contact and thus has little trustworthiness. In fact, more adrenaline is released during lying, resulting in increased eyelid beat. This stress reaction can have other triggers. An unusually low blink frequency of the listener in certain phases of conversations and presentations indicates that they have lost their attention. However, very few speakers register this. Only the interplay of eyebrows and eyes allows interpretations within clusters (combination of possible hints). a.) Eyes and eyebrows are pinched. Often it is smiled on one side, so only one corner of the mouth pulled up or only one side pulls inwards. The gaze is so focused and concentrated; someone is gazing skeptical. The eyebrows are pulled down and the eyes narrow, while the upper eyelids often raise and contract. The otherwise curved lower eyelid straightens while, below the eyelid are small wrinkles. The more pronounced the facial expressions, the greater the annoyance. c.) The simultaneous lifting and contracting of the eyebrows. Simultaneous lifting and contracting of eyebrows is common in people who are mourning and annoyed. While the eyebrows are pulled up, wrinkles in the forehead area usually form. Possible interpretations: an expression of joyous surprise and increased attention. If the surprise is greater, the chin also lowers. Sometimes so far that the mouth opens. A true smile (Ducenne smile) involves many muscles. It is accompanied by the lowering of the eyebrows and the activation of the muscles around the eye (Orbicularis oculi). In contrast, the simulated smile does not activate the muscles around the eyes. Often a false smile breaks off abruptly or gradually disappears from the face. With generalizations, that is often such a thing. Unfortunately, the concept of eye access, from NLP (Neuro-Linguistic Programming), is often misunderstood. Often, things are too simplistic: when a person says the truth, he looks to the left. If he lies, his eyes move to the right. But that’s not how it works in practice. In reality, it is a bit more complex. Few users calibrate neatly enough and do not have the flexibility to use such hints. Who actually mastered the concept, receives many additional hints up to insights into the personal thinking strategies of interlocutors. Eyes speak volumes. A look can say more than a thousand words. It is therefore advisable to give interlocutors an open view for a few seconds, accompanied by a contagious friendly smile. A friendly open look makes listeners feel positive. Those who do not pay any attention to other people are considered arrogant and unsympathetic. Those who want to convince people of themselves and their offers benefit from good eye contact. But beware of too long eye contact. This can easily be interpreted as staring, crossing the border and being rude. Who fixes someone too long and too intensely, is quickly regarded as threatening and aggressive. In principle, it is easy. You communicate with your eyes what’s going on in you. If you are excited about something, your eyes will sparkle and that is contagious! What do you watch out for when you talk?